I read this article and found it very interesting, thought it might be something for you. The article is called Sound Yoga and is located at https://www.ripaladrang.org/event/sound-yoga/. Primordial sounds, mantras, sacred harmonies and songs of Tibetan monks, therapeutic sounds of shamans … practiced since the dawn of time, for their virtues or for their power, these sacred sounds have the ability to spark spiritual awakening. A qualified art therapist, recognized by the ASCA, she has been a yoga practitioner for twenty years. 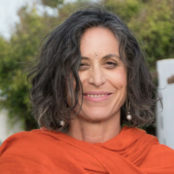 She integrates in her work techniques of physical presence (Hatha Yoga, Energy Yoga, Healing Tao, Qi Gong, intuitive movement …) and the use of breath and sounds through various approaches such as spontaneous singing, Indian devotional singing (Bhajan, Mantras) and Yoga of Sound. Disciple of the Vietnamese master Thich Nhat Hanh, meditation and mindfulness are at the center of her approach.